The past comes back to haunt game warden Joe Pickett and his family with devastating effect in this thrilling novel from #1 New York Times–bestselling author C. J. Box. The Cates family had always been a bad lot. Game warden Joe Pickett had been able to strike a fierce blow against them when the life of his daughter April had been endangered, but he’d always wondered if there’d be a day of reckoning. He’s not wondering any longer. Joe knows they’re coming after him and his family now. He has his friend Nate by his side, but will that be enough this time? All he can do is prepare...and wait for them to make the first move. C.J. 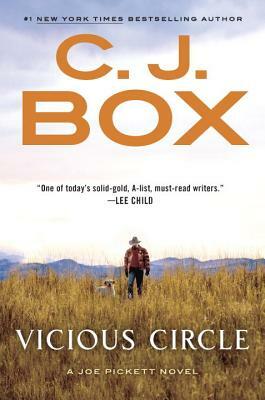 Box is the #1 New York Times bestselling author of seventeen Joe Pickett novels, most recently Off the Grid; five stand-alone novels, most recently Badlands; and the story collection Shots Fired. He was won the Edgar, Anthony, Macavity, Gumshoe, and two Barry awards, as well as the French Prix Calibre .38 and a French Elle magazine literary award. His books have been translated into twenty-seven languages. He and his wife Laurie split their time between their home and ranch in Wyoming.